Since ancient times, God has always been our greatest interest and is also the most controversial topic for mankind. Does God really exist? How is God related to us? These questions have been asked for thousands of years, and yet God still remains a mystery. Although our understanding of God is not clear, many people still worship God wholeheartedly. God is also called by different names, such as the Lord, Allah, Jehovah, Great Master, or supernatural being, etc. In reality, not only followers of religions such as Christianity or Islam worship God; non-religious people also worship their own versions of a supernatural being, which is another way to connect to God. Faith via religion or via any conception of a supernatural being was formed in ancient times in the form of folk beliefs and has lived in the hearts of people throughout human history. Most people connect to God only by faith—not by understanding or experience. If we only rely on the scriptures of the various religions to understand God and his works, we may never fully understand God. Unless we use science as the primary means to interpret everything logically, we won‘t really understand God. Besides science, there‘s no other way for us to find out the whole truth about God. Science is the only way to find God—it is the key to opening the gate of heaven. Each word by itself carries a negative meaning, but when we put them together the phrase has a very positive meaning: “No more loss, failure is defeated.” It is understood that the dismal period of our lives have gone and good things await us ahead. UFOs and aliens elicit a threatening feeling rather than a positive one, and the perception is that this phenomenon is unrelated to God. But when combining the information from religions, science, spirituality, and ancient architectural works with UFO phenomena, we can decode the image and the role of God in the lives of humans. Some religions maintain the view that God created the universe, but they only rely on their religious doctrines to accept it without scientific proofs. Apart from that, they cannot point to any new evidence to confirm their views, and therefore they cannot convince everyone, especially scientists. Overall, we acknowledge an important difference between religion and science: religion seldom changes, while science is continually developing and moving forward. Science may prove the formation of the universe and the solar system; it may even determine the age of the universe, Earth, sun, and moon, etc. Science may prove the origin of humans who evolved from chimpanzees, and may result in many other important discoveries. 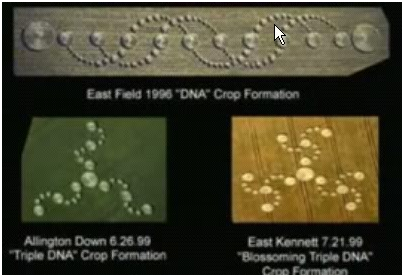 But these things were formed in the past, and science today can only understand the cause and components of this formation. It cannot tell us exactly how things were originally formed. Whether things were formed by nature or created by God, they would still appear the same to our eyes today. Therefore, we can‘t illuminate God‘s role in the creation of many things existing in the universe and on Earth. Much of what we know about God is from the religious scriptures. These scriptures were written to form religions; they all carry important messages. These scriptures include the Old Testament and New Testament of Christianity, the Qur‘an of Islam, Buddhist teachings, and many other scriptures from various religions. “Science without religion is lame. Religion without science is blind” – Albert Einstein. On the other hand, if the viewpoints of religions changed, this would introduce an unnecessary divergence of information. Religious scriptures have important clues for science to interpret, and often lead to the truth. But these days, we realize that our efforts have not gotten us anywhere. Let‘s continue to visualize the work that humans are pursuing via the story “Treasure Finders” below. When going out to look for treasure, each man brings with him a map hoping that he will be the first to find the treasure. But after a long time, no one finds it because each man‘s map contains only a part of the entire picture. Nobody realizes that the map they own is only a small piece of the complete guide to the treasure. The treasure can only be found when all the pieces of the puzzle are put together in an orderly sequence. Following this analogy, our search process needs to begin with interpreting matters in different areas that are happening at the present and tracing them back in time, connecting various pieces of information together to determine the causes of these matters. Correctly doing so will give us clues to how things transpired in the past, and from there we can foresee the future. First and foremost, we need to analyze the following phenomena: prophecy, telepathy, mind control, speaking in tongues, and child prodigies. A prophet is a person with the ability to know what will happen in the future. But we know that the prophet himself doesn‘t know the future. Therefore, it could be that someone else has implanted the information into the prophet‘s brain, and the information must therefore be transmitted by some type of signal wave that the prophet‘s brain can receive and be aware of the messages. But if someone wanted to generate this wave to transmit information, they would also need to use superior scientific equipment to make it happen. Through the above interpretation, we realize that whoever sent the messages must live in a physical body, since they know how to use materials to build and operate that equipment. But we know that the information received by the prophet is not sent by humans on Earth, as humans don‘t have the ability to know the future. Thus, we can conclude that it is done by extraterrestrial beings (aliens) from outer space. On the other hand, the prophets say that the messages they received are from sacred sources or angels. Consequently, aliens are angels. 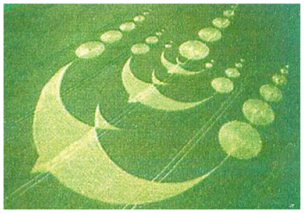 Back in the history, we can infer that the angels used waves to transmit messages to the prophet Mohammad, who created the Qur‘an, and they also transmitted messages to some Vietnamese people to create Caodaism. Furthermore, the scriptures of these religions always mention God as the supreme power. Thus, we can conclude that God is the leader of the angels, and that the angels use superior scientific equipment to communicate with humans. Therefore, God and the angels live in physical bodies, reside on a planet somewhere in the universe, and possess a very advanced civilization. There have been records of UFOs since ancient times. In recent decades, UFOs have appeared more frequently. 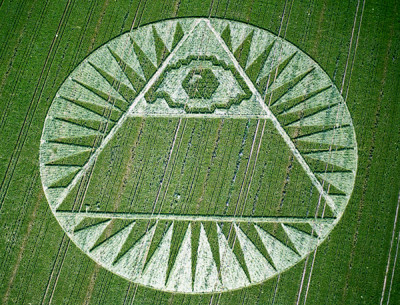 But we haven‘t seen any evidence that aliens intend to harm humans and our Earth. We recognize that their civilization is far more advanced than ours. Thus, if they wanted to invade the Earth, they could do it at any time—they wouldn‘t have to wait until humans become more civilized. If they don‘t have any relationship with humans and don‘t have good intentions toward us, they would not spend time attending to catastrophes on Earth. Remember, they specifically sent UFOs to places where catastrophes were happening. 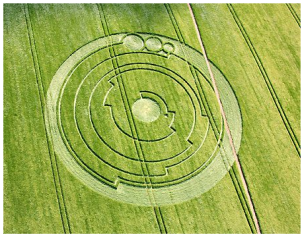 Other important information about aliens is revealed in mysterious crop circles created in fields. 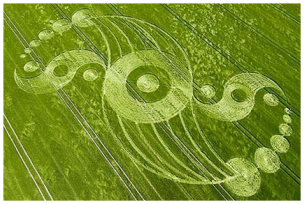 Below are some crop circles expressing typical messages. 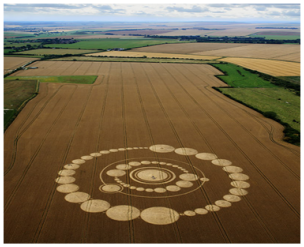 Picture 1: Formed on 8/15/2008 at Etchilhampton Hill, Wiltshire, England. 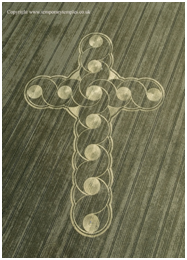 Message in picture 1: Aliens are relating to those who believe in the cross. Picture 2: Formed on 8/10/2012 in Cheesefoot Head, Winchester, and Hampshire, England. Message in picture 2: Aliens are relating to Buddhist beliefs. Picture 3: Formed on 8/2/2004 at Silbury Hill, Beckhamton, England. Message in picture 3: Aliens are relating to Taoist beliefs. Picture 4: Formed on 7/21/2002 at Beacon Hill, near Highclere, Hampshire, England. 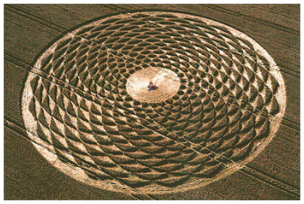 Message in picture 4: Aliens are relating to Caodaism. 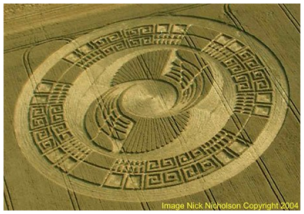 Picture 5: Formed on 7/8/2009 near Silbury Hill, Wiltshire, England. 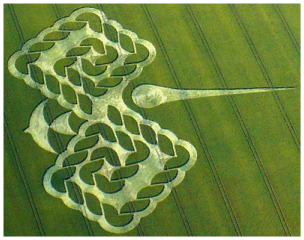 Picture 6: Formed on 6/17/2008 near Wroughton, Wiltshire, England. 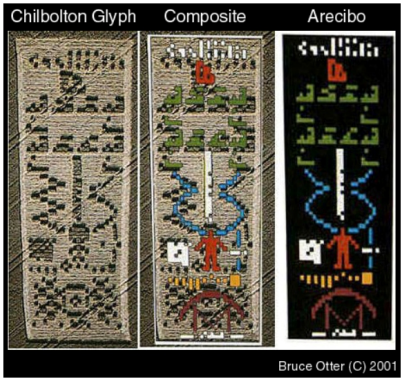 Message in picture 5 and 6: Aliens are relating to human civilization and the advancement of science. Picture 7: Formed on 7/26/2011 at Windmill Hill, Wiltshire, England. Message in picture 7 and 8: There is a central life. Different lives connect to each other in many galaxies, which become satellites of the central life. Picture 9: Formed on 13/8/2000 at Woodborough Hill, near Alton Priors, Wiltshire, England. Message in picture 9: All existing lives in the universe contact one another via informational waves. Picture 10: Formed on 6/15/2000 at East Kennett, Wiltshire, England. Message in picture 10: Existing life forms in the universe always receive love from God regardless of their evolutionary level. Picture 12: Formed on 7/4/2009 at West Down Gallops, near Beckhampton, Wiltshire, England. Message in picture 12: Current human DNA and the DNA of future immortal humans. Message in picture 13c: The message broadcasted to space from Arecibo Radio Telescope by scientist Frank Drake on Nov 15, 1974. 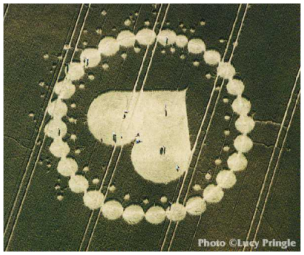 Message in picture 13b: Aliens created this on the field near Chilbolton Observatory, Hampshire, UK on Aug 18, 2001. Message in picture 13a: Comparison between two civilizations shows that there are basic differences between them in various aspects. 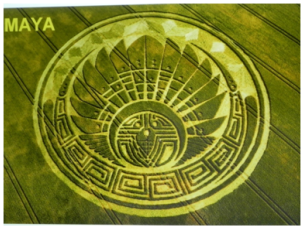 These messages reveal that aliens have a close relationship with humans, evidenced by the fact that they sent messages about our civilization and our religions. In addition, we have other evidence related to aliens. This pertains to the architectural and scientific works that remain from ancient times. With the technology available during those times, the construction of great ancient architectural works such as Egyptian pyramids, stone statues on Easter Island, and Stonehenge in England was simply not possible. But many people still think that those edifices were built by humans alone. How about 17 nuclear reactors in Oklo, Gabon, which were constructed almost two billion years before humans existed? Why is it that we can‘t accept that this construction and other great ancient works were built by aliens under God‘s supervision? Connecting the above information together helps us to affirm that aliens used UFOs to reach Earth long before humans existed. They built nuclear power plants and architectural sites to reside while creating life on Earth. 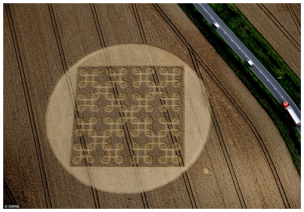 In recent years, they have returned and formed many crop circles in fields, sending us messages to help us better understand them. Once we understand their intent, we can recognize their leader. They are angels and their leader is God. Besides, to get to know God more clearly, we should turn to His own words. They are expressed in the Bible, in the Old Testament, Book of Genesis section, Chapter 1. Verse 27: So God created mankind in his own image, in the image of God he created them; male and female he created. In verse 26, when God said ―let us,‖ He was talking to his colleagues, the angels. Then He said ―make man in our image, according to our likeness,‖ and in verse 27, ―So God created mankind in his own image.‖ This means that He asked the angels to create humans with an appearance similar to His. If God exists only with His invisible spirit, he wouldn‘t mention his ―image‖ and ask the angels to make man according to His likeness, would he? Therefore, we shouldn‘t insist that God and the angles are spiritually invisible; apparently, God and the angels have physical bodies like us. Once we define God as an intellectual being in a physical body, we can no longer assume that God is the creator of the universe, because before the universe was formed, there was no life at all, not even God. But a number of religions view God as the creator of the universe. Let us find out whether God really created the universe, or whether it was formed by nature. The first words in the book of Genesis are, ―In the beginning, God created the heaven and the Earth.‖ These words were written in an ancient era, and remember that the words in scripture were very simple so that the ancient people could understand. But with our knowledge of the universe today, ―heaven and the Earth‖ can mean the sun and Earth, not necessarily the entire universe. Man is created from Earth. Earth is created from the universe. The universe is created from Tao. And Tao is created from nature. The main factors in these lines are understood as follows: ―man‖ refers to humans, ―Earth‖ is the Earth, and ―Tao‖ is the universe and nature. Reading the lines backwards, we understand that: nature created the universe, the universe created God, God created the Earth, and the Earth created man. In summary, nature itself created the universe; God was not the creator of the universe. After the universe was formed, God was the first and the only life form that existed. He learned from the natural laws of the universe, and then He created the first angels who then live on the same planet. From there, He came up with the divine plan—creating new lives in the universe. After the plan was formed, God and the angels used their supreme knowledge and superior scientific equipment to create new solar systems and have them work according to the natural laws. From there, God created lives on selected planets and created humans according to his likeness, guiding them to evolve. As time passes, he continues to develop many lives throughout the entire universe, guiding them to salvation. The lives that have been liberated will help God to guide other lives that have not yet liberated. Although God is not the creator of the universe, God created a part of the universe. The whole solar system was created by God and the angels. After God created the Sun and the planets (including Earth), he continuously observed and adjusted for it to work accurately and harmoniously with the natural laws of the universe. God adjusted weight and volume and created satellites for the planets to acquire the precise distance, orbit and speed in order to maintain life on Earth. Regarding the formation of the moon, science proved that the moon was formed from a volume of mass shot from the Earth after a crash with a huge meteorite in the Pacific Ocean. In the Old Testament, there is a phrase describing how God created Adam and Eve similar to the way the moon was formed from the Earth. The Earth existed before the moon; Adam came before Eve. The moon was formed from material of Earth‘s side, Eve was created from Adam‘s rib. The moon is a symbol of a beautiful woman in the legends of the peoples around the world; Eve is the symbol of a woman. Earth and the moon must always coexist in order to maintain life on Earth; the verse ―man leaves his father and his mother, and shall cleave unto his wife: and they shall be one flesh‖ (Genesis, 2:24) means the Earth was formed from the materials of the Sun and orbit together with the moon as one. Besides the similarities between the moon and a woman, the gravitational attraction of the moon also has an impact on women‘s menstrual cycles. Therefore, we can say that the story of Adam and Eve in the book of Genesis is the story of the Earth and the moon, not that Adam and Eve were the first humans on Earth. After God realized that the solar system was running well, he sent angels to the Earth by UFOs. Angels created the water, atmosphere and constructed sites such as nuclear electric plants at Gabon and other architectural works to reside and work on Earth. Until God and the angels recognized that the Earth‘s climate was stable enough to begin life, God had the angels bring the genetic material of flora and fauna to the Earth, reproduced and then introduced them to the environment so that they could self-adapt and self-evolve. Most of the existing lives on Earth were brought from outside of Earth by God and the angels and then crossbred and multiplied. All living species, from simple to complex, have different gene structures. Depending on the stability of Earth‘s climate and appropriate timeline, God released different species. In the early days, the angels only brought to Earth the genes of botanical species for plants in the forest, later they brought plants for grains, fruits, and vegetables. Similarly, the angels first brought to Earth animals with simple gene structures such as jelly fishes, later they brought animals with more complex gene structures such as reptiles and mammals. All species must go through the process of evolution to self-adapt and improve in the Earth‘s environment. Evolution is a necessary process for all lives. However, weeds cannot evolve up into wheat, insects cannot evolve into mammals. Each species has a different genetic structure. All the botanical and animal species carry genetic information of their own kind. Genes contain information for physical, intellectual and sentient characteristics and will be inherited by the next generation. But not all species have souls; this is reserved for humans. All non-human species were created and evolved by the way described above. Let‘s find out if humans were evolved from chimpanzees. If true, how did this evolution happen? Was God involved this process? Stage 1: Chimpanzees evolved into ancient humans known as Homo genus. Stage 2: Homo erectus became extinct; it was replaced by modern humans also known as Homo sapiens. Humans were created by God after the seventh day. These humans were Adam and Eve (2:7-25). Here we see similarities between findings in science and messages revealed in the Bible. Humans that God created in the sixth day were Homo erectus. This species didn‘t yet have souls, thus they weren‘t the intelligent type. The ones that God created after the seventh day, Adam and Eve, are the intelligent human species Homo sapiens of today. This species is intelligent because God gave them souls. God did not create humans by multiplying his genes or the genes of the angels because their genes are perfect. This source of genes does not age nor get sick nor become infected by diseases, but is immortal. Therefore, if they were to use their genes to multiply humans, it would not work for underdeveloped souls of humans (soul will be explained in chapter 3). The genes of chimpanzees, after God adjusted them to make humans, helps the body of humans adapt to the conditions of the environment, weather, and climate on Earth. Chimpanzee species, after God adjusted their gene structure, became Homo. This human species, although without souls, were spread to all continents except America via UFOs by the angels, so they could adapt to the local weathers and environments. After this species evolved up to a necessary physical readiness and, at the same time, the weather and environment conditions reach the required stability, God decided to release the intelligent human species. This time period is also known as the Last Ice Age, the same time as when humans first appeared in Americas over 10,000 years ago. To release the intelligent human species, God and the angels needed to remove genetic codes related to intellectual and sentimental activities in the genes of the Homo erectus humans. Because of this, scientists find quite a number of genes in modern humans are useless. If this kind of information still stayed in human genes, it would affect the software programs in the soul. At the same time, God and the angels adjusted DNA to make different human races with various skin colors: Caucasians, Asians, Blacks, Indians, Native Indians, etc. The last and most important task was for God to install the soul to each human to become the intelligent human species, Homo sapiens. outside of Earth. As God‘s will, sometimes, biological robots and the angels arrive on Earth by UFOs to help humans.